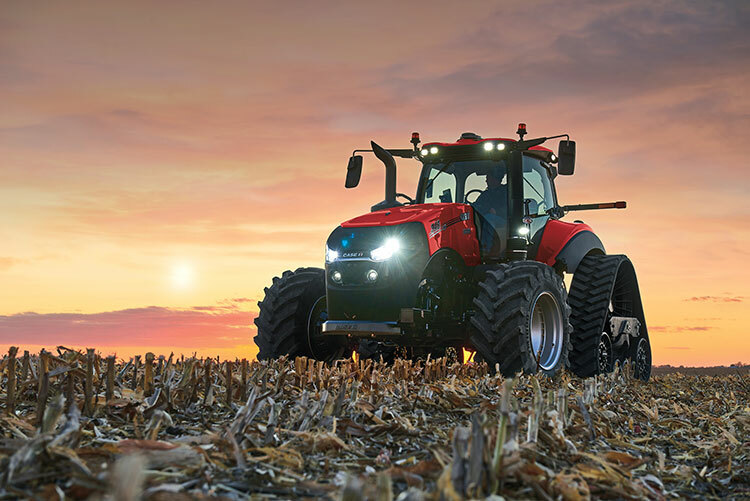 New AFS Connect™ Magnum™ series tractors from Case IH provide connectivity and visibility that allow farm managers to make better-informed decisions. Case IH is unveiling new AFS Connect™ Magnum™ series tractors, giving producers a new way to run their businesses — with the freedom to adjust, manage, monitor, transfer data and partner the way they want. 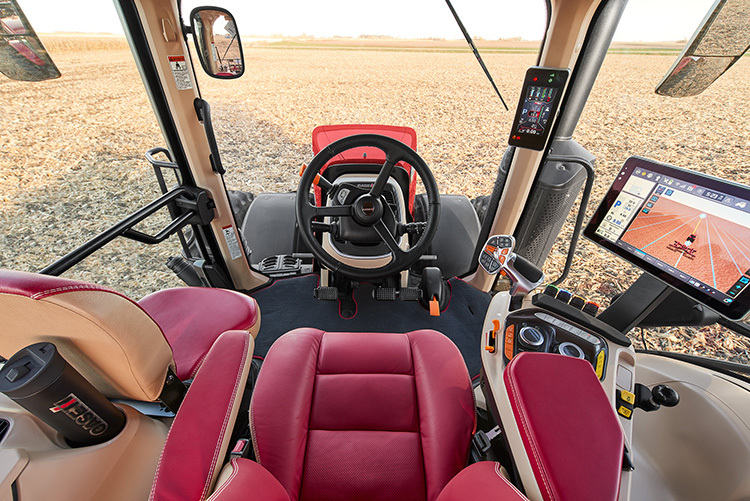 Powered by Case IH Advanced Farming Systems (AFS) precision technology, the tractor is outfitted with a new display, operating system, receiver and completely redesigned hardware environment that allows for remote display viewing, remote support capabilities and more. Plus, a redesigned cab delivers comfort, storage and easy-to-use controls for ultimate productivity. The AFS Connect portal is a gateway to the AFS Connect Magnum series tractor. It allows farm managers to precisely manage their farm, fleet and data from a desktop or tablet/mobile device anywhere while feeling assured their data is securely transferring to and from the cloud. Users can log in to AFS Connect to view current field operations, fleet information, agronomic data and more, remotely keeping an eye on their operation as if they are in the cab. Farm owners and managers then have the freedom to share selected agronomic data — down to the field level — with third-party partners of their choosing. Added connectivity provides more support features, maximizing uptime and keeping operators in the field. Remote display viewing allows a manager or dealer to view exactly what an operator is seeing on the AFS Pro 1200 display in the cab to help identify problems and gain deeper insight. Dealers can also use remote service support to remotely identify maintenance and service needs to proactively determine what parts are needed, without ever needing to visit the operation. Firmware over the air (FOTA) allows for wireless updates to operating firmware. The new AFS Vision Pro operating system is familiar and easy to use. Producers can configure their AFS Vision Pro operating system to their choosing, using technology to tailor the tractor to their operating preferences, and using pre-programmed hot keys to make on-the-fly adjustments to quickly adapt to changing conditions. The cabs of the new AFS Connect™ Magnum™ series tractors from Case IH provide automotive-grade finishes and are streamlined to optimize operator visibility and control. All Model Year 2020 AFS Connect Magnum series tractors are covered by a two-year, 2,000-hour factory warranty. Contact your local dealer for more information and the opportunity for a firsthand experience of the new AFS Connect Magnum series tractor. The tractor is on display at winter farm shows, including World Ag Expo in Tulare, California; National Farm Machinery Show in Louisville, Kentucky; and Commodity Classic in Orlando, Florida. For more information, visit www.caseih.com.